Who is behind Golden Rice? The Golden Rice Project was the result of an initiative by the Rockefeller Foundation, and is based on a widely recognised need for a sustainable biofortification approach to contribute to alleviating the scourge of micronutrient deficiencies worldwide. It was this initiative that brought together Profs Ingo Potrykus and Peter Beyer, who in an exemplary collaboration created Golden Rice to help mitigate the problem of vitamin A deficiency in the world. Reaching small farmers in target countries requires a highly professional and interdisciplinary team. For this purpose a Humanitarian Board, composed of internationally recognised experts belonging to various reputed institutions, provides strategic guidance to the project. Short bios of the members of this honorary body are included in the Members section. Thank you for visiting the official Golden Rice homepage. Golden Rice represents the technological platform upon which we have built a humanitarian project in the public domain. The Golden Rice Humanitarian Board, which provides strategic guidance to the project, has the responsibility of delivering the technology to the vitamin A-deficient poor in developing countries in the most efficient way. Thus far, the Board has concentrated on further developing the technology, with little intervention in the public debate on the risks and benefits of GM technology in general and Golden Rice in particular. We have come to realize, however, that numerous publications and webpages offer misleading information on Golden Rice, generated by a 'professional' GMO opposition. Those publications are not a reliable source for people interested in finding factual information that will contribute to an informed picture of the Golden Rice technology. We are now happy to be able to provide, through our webpage, up-to-date and accurate information on the science, product development, and progress in regulatory approval of Golden Rice to all interested audiences. The Golden Rice Project is grateful to all supporters and is also very much indebted to the private sector, because without their support Golden Rice would never be in a position to reach those for whom it was meant for since the inception of the project. We will, of course, be more than happy to provide additional information, in case you have additional questions, about a number of issues raised in this site. 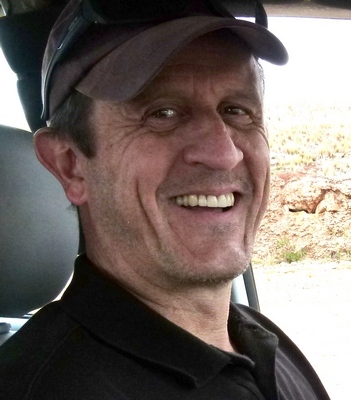 and Professor Emeritus in Plant Sciences, Swiss Federal Institute of Technology. 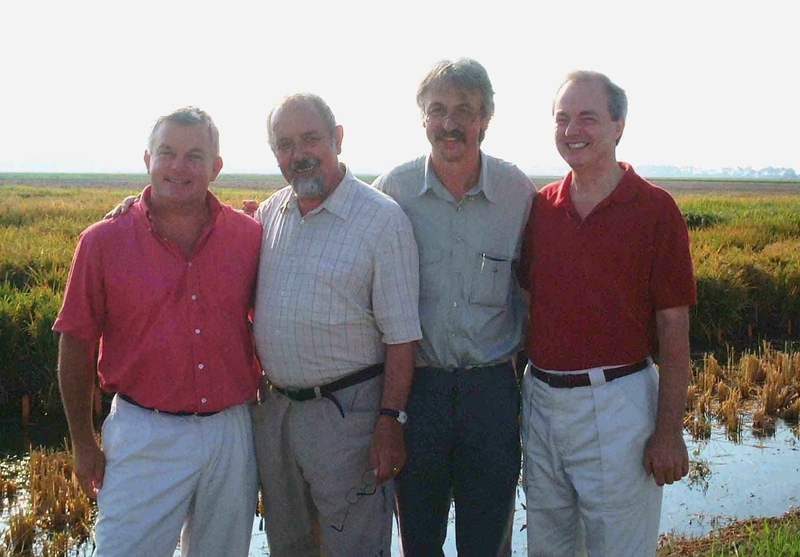 The Fathers of Golden Rice: from left to right, Adrian Dubock, Ingo Potrykus (Professor emeritus ETH Zurich), Peter Beyer (Univ of Freiburg), and Gary Toenniessen (Rockefeller Foundation) in front of the first Golden Rice field trial in Louisiana, September 2004.